Gmail is undoubtedly the most popular and the best free Email service on this planet. With Gmail there is no limit on how many accounts you can create, which is why most of us have multiple Gmail accounts for various purposes. I personally maintain multiple email accounts for my various needs and if it is the same with you, then you might have already known that its not possible to login into multiple Google accounts simultaneously using the same browser. Although you can login into multiple Gmail accounts using different browsers at the same time, but there are many other easy and hassle free ways which you should consider first. 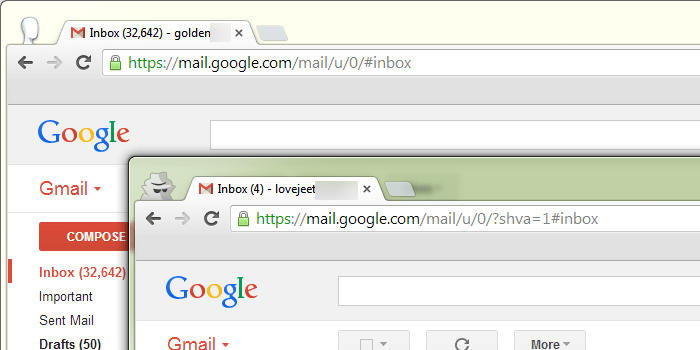 Here are some useful tips that will help you to log into multiple Gmail accounts on your PC at the same time . Most web browsers have a private browsing mode, On Google chrome this feature is known as incognito mode and on Firefox its known as Private browsing mode. regardless of any browsers you use the private browsing mode always offers the same feature, which is complete privacy on the internet. 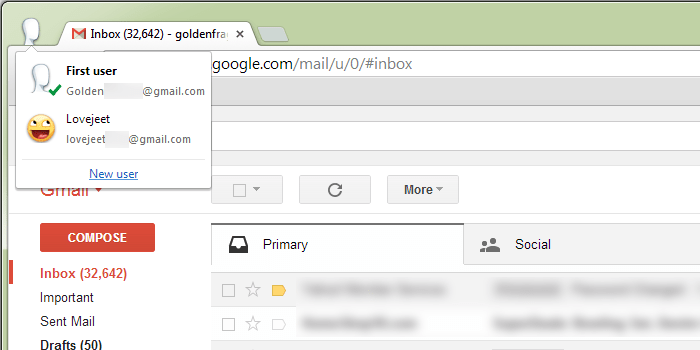 To use two multiple Gmail accounts simultaneously, you need to open a normal tab in Google chrome and login with your primary Gmail account. To open another instance of Gmail with another account, simply open a new incognito tab and log into your second Gmail account and voila you can now manage multiple Gmail accounts at the same time. 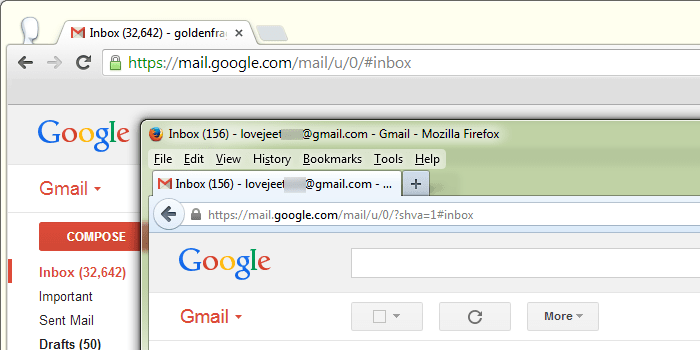 Both Gmail and Firefox have a feature that allows users to create multiple user profiles for different users. you can easily create different profiles and login with multiple Gmail accounts on different profiles simultaneously. Read: How to create and use User profiles in Google chrome. Most of us are already aware that we can login into multiple Gmail accounts by using two separate web browsers. but using separate browsers has an advantage over the incognito / private browsing mode, which is you can track you will be able to track your web browsing history later.